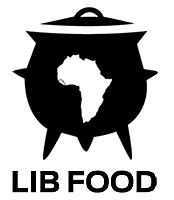 Is African food the next Chinese? WE DELIVER TO ALL 50 STATES! African grilled meats, spicy sauces and stews, and the vegetables, fruits, grains and root dishes traditionally served with them remain largely unknown to Americans. But for how much longer? So far, the only African cuisine close to entering mainstream American dining are the distinctive delicacies of Ethiopian cuisine. Its small dollops of spicy stews and salads spread atop injera (a flat bread with the consistency of fresh dough) are nearly as familiar as South American specialties like ceviche. Now – against the background of what’s been called a “phenomenal” influx of immigrants from Africa into the U.S. – there’s change afoot. 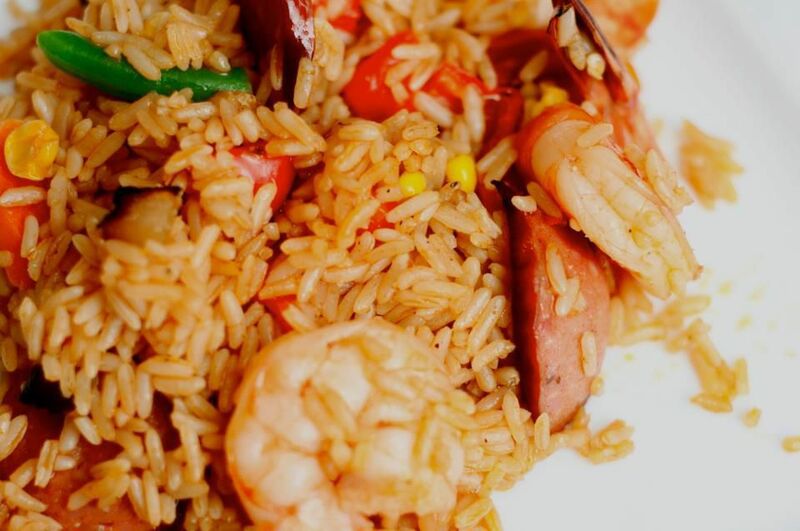 American culinary circles are beginning to catch African aromas from across the continent. Avant garde diners and chefs – both Africans and others – are experimenting and popularizing them. In his kitchen, Thalmus Hare pounds choice yams, plantains or cassava into fufu, a signature dish in his native Liberia. He takes cassava leaves, okra, spinach and other ingredients and whips up palava sauce or other dende (palm oil) soups and serves them along with Jollof rice. 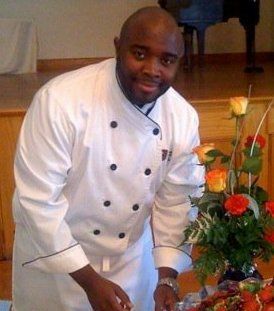 Hare works in Milner, Georgia as a caterer during the week, preparing southern-style meals. But he also runs a Liberian food site on the side. Hare makes dishes mostly for Liberians living in the United States, part of a wave of some two million African immigrants that have moved to the U.S. over the last 20 years. During his best months, he prepares and sends out as many as 160 dinners. He also gets some orders from other segments of the community. Schaffer thinks different African cuisines will gain popularity in relation to the number of immigrants from those regions. They will start small and local, within immigrant communities, like the Cameroonian Roger Miller Restaurant in Silver Spring, Maryland or Sahara Oasis in Hyattsville, Maryland, which is owned by a Liberian. Such restaurants do little to alter the presentation and flavor of their food to win over the taste buds of the uninitiated, says Schaffer. But that may be changing. Nando’s Peri-Peri, a South African chain, came to the U.S. three years ago. Since then it has become a hit, opening seven restaurants in Maryland and Washington, DC. It claims 70 percent growth per year and intends to have 25 restaurants in the U.S. by 2015. Nando’s, a hybrid between a fast food casual and a full-service restaurant, serves southern African-style Portuguese grilled chicken cooked in spice blends from Mozambique and other countries on the continent. For sides, you can order salads, some American mainstays and African-accented tropical treats. “Our brand is from Africa,” says Burton Heiss, U.S. chief executive for Nandos. “It is essentially based on the premise: authenticity and sincerity in everything we do.” Right down to Nando’s signature grilled chicken in peri-peri (a bastardized shorthand for pili-pili, Swahili for pepper-pepper). Somewhere between the small independent African food restaurateurs and Nando’s are popular mid-scale African restaurants in cosmopolitan cities like New York, Boston and Washington that cater to local African customers, Americans who have lived in Africa and adventurous foodies willing to try out unfamiliar culinary experiences. 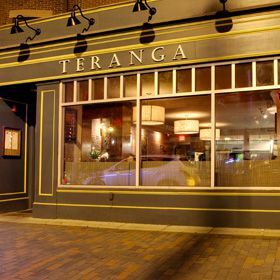 In Boston, tables are usually full at Teranga, a cozy Senegalese restaurant in Boston’s South End that’s received high praise from critics. African food lovers can find similar upbeat, multicultural atmospheres at Baobab, another Senegalese restaurant in Harlem, New York or at Ghana Café near downtown DC. Michael Fitzgerald contributed reporting to this story.